The timing of the announcement raised a few eyebrows - it came barely an hour before an oversight hearing of the Council's immigration committee on ways the city can support ethnic and community media. Critics have said that the city is not doing enough to advertise and communicate with such outlets. New York has about 95 ethnic newspapers with a combined circulation of 2.9 million people, more than one-third of the city's population. Combined, there are nearly 200 outlets across television, digital, print, and radio covering more than 30 languages. But, in the past, city government has largely relied on English-language publications. A 2013 report from the CUNY School of Journalism found that only 18 percent of the city's advertising budget in Fiscal Year 2012 went to ethnic media, while the rest went to mainstream outlets such as the New York Times, the New York Daily News, and the New York Post. According to a press release from Mayor de Blasio and Speaker Mark-Viverito, the city will create "a system to ensure accountability with the aim of having equitable communications across diverse ethnic, racial and geographic communities. The Mayor and Speaker will convene community-based journalists in the coming weeks to discuss these efforts." The online directory was a collaborative six-month effort, a city official stated. It involved the Mayor's Office of Immigrant Affairs, the Mayor's Office of Operations, the City Hall Press Office, the City Council Speaker's Office and the CUNY School of Journalism. MOIA will now work with these other offices to update and maintain the online database. "MOIA's executive director of Language Access works to implement citywide tools, training, and reporting mechanisms in regards to language access, including ethnic and community media outreach," the official said. The new strategy also includes annual reporting of agency budgets on advertising through ethnic media to help the city improve on its record. "In the city of immigrants, no person should be denied access to vital services or information due to their language," said Mayor de Blasio in the announcement. Pointing to the fact that nearly one out of six New York City households are proficient in languages other than English, he said, "Today we are ensuring that the City speaks the language of our people." Under Mayor de Blasio, there has been a shift towards multilingual outreach campaigns, particularly for large city initiatives. The campaign for the city municipal identification program, IDNYC, spent $340,000 on ethnic and community media, which was 64 percent of total print ad buys. These ads were featured in 32 publications, covering 10 languages. The Department of Consumer Affairs made similar efforts, spending 27 percent of ad money for the paid sick leave campaign on ethnic media, and 37 percent on ethnic media to promote the Earned Income Tax Credit. "Government has a responsibility to engage diverse media equitably so that we can communicate with a wide range of constituents," said Council Speaker Melissa Mark-Viverito, who is a native of Puerto Rico and bilingual, in a statement, adding that this would make for a more "inclusive city." The timing of the announcement was not lost on City Council Member Antonio Reynoso, who, at the oversight hearing, wanted to make sure that his colleague and immigration committee chair Carlos Menchaca received the credit he was due for pushing this discussion. "If it wasn't for this hearing, I don't think that announcement would have come out today," Reynoso said. Council members, advocates and journalists held a rally before the hearing, where some held signs that said "Save El Diario." At the hearing, Reynoso questioned Mayor's Office of Immigrant Affairs Commissioner Nisha Agarwal on whether IDNYC was the exception to the rule in the city's engagement with ethnic media. "Money is what talks," he said, insisting that the city has so far come up short on this front. The numbers appear to back that up. A joint report from the offices of Brooklyn Borough President Eric Adams and Comptroller Scott Stringer, released specifically for the hearing, analyzed the city's advertising spending from Fiscal Years 2013-2015. It found that the city contracted with three ad firms to spend roughly $20 million through 954 publications over the three years. Only $2.5 million went to 37 ethnic media outlets. These ads included job listings as well as legal notices and public campaigns. In fiscal year 2015, the city spent $7.28 million on advertising, of which $1.3 million or 18.91 percent went to ethnic publications. While this number was up from 7.87 percent in FY2013, it is only marginally better than FY2012. Based on these numbers, the report recommended that the city should review the performance of existing ad contracts, clearly define ethnic publications to avoid inadvertent exclusion, consider adding new vendors to target specific communities, and objectively evaluate how ad agencies spend money based on a publication's readership and circulation. MOIA Commissioner Nisha Agarwal, in response to Council Member Reynoso, made the point that the uptick in advertising through ethnic media was part of a broader initiative, one that showed its success in the IDNYC and other campaigns. The announcement by the city was welcomed by advocates and journalists. "A significant portion of New Yorkers depend on ethnic and community media as a source of news and information," said Jehangir Khattak, co-director of the Center for Community and Ethnic Media at the CUNY Graduate School of Journalism. "By providing city agencies with this media resource, the city will better connect with immigrant communities across the five boroughs." Steve Choi, executive director of the New York Immigration Coalition, which includes more than 200 community-based and immigrant direct service organizations across the state, said that ethnic media outlets "are lifelines for immigrants who learn about programs and policies that impact them in their own languages first." Choi praised the new directory, calling it "a vital tool for city government, agencies, and community organizations to strengthen their connections to the reporters and journalists who are at the frontlines of immigrant issues and who will ensure that our communities are fully informed." Gotham Gazette reported on Monday about the impending immigration committee oversight hearing where local journalists, non-profit groups, academics, and union representatives also testified. Council Member Menchaca is leading the "fact-finding mission" and hopes to formulate additional policy recommendations from today's testimony. "We need the press," Menchaca told Gotham Gazette earlier this week, "to be able to talk about how we're opening the doors of government to different communities." 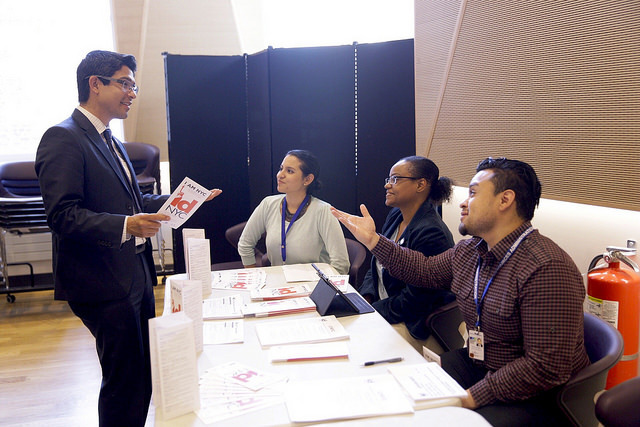 When City Council member Carlos Menchaca heard the recent news of layoffs at El Diario, the country’s oldest Spanish-language daily newspaper, he was troubled to say the least. Menchaca, who represents Sunset Park and Red Hook, penned an editorial (reproduced here in English) for the newspaper in which he pledged his support for ethnic media outlets that serve local communities and announced an upcoming hearing of the Council’s immigration committee, which he chairs, to look at ways the city can provide support. “We need the press,” he said, “to be able to talk about how we’re opening the doors of government to different communities.” He stressed that the hearing is about the city’s relationship with ethnic media and about ensuring the outlets are well represented by city government. “I don’t believe in silos. I believe in symbiotic relationships. It’s not about telling the media what to do and how to do it,” he said. An important stakeholder at the hearing will be the the NewsGuild of New York, a union which represents around 3,000 employees of New York-based organizations including the New York Times, The Daily Beast, Amsterdam News, and El Diario. The guild will also host a rally on the steps of City Hall shortly before the hearing. “We’re very glad the Council is taking an interest in how immigrant communities are being served by the press,” said NewsGuild president Peter Szekely. Although they have a horse in this particular race -- the recently laid off El Diario reporters -- they also believe it’s a matter of public interest. “This is about journalism,” said NewsGuild staffer Jesus Sanchez. “This is about making sure that the news gets to the community.” Voice of NY, a publication of the Center for Community and Ethnic Media at the CUNY Graduate School of Journalism published a closer look at El Diario's struggles on Monday, noting its shrinking staff and bleak outlook. Other local journalists also welcome the City Council hearing, which they feel will bring attention to their woes as an industry. For Milton Allimadi, publisher and CEO of Black Star News, the hearing is about more than just ethnic media. “The city of New York doesn't support any businesses when it comes to people of color, period. It's not just ethnic media,” he said in an email, citing Comptroller Scott Stringer’s 'Making The Grade' report on the city’s investment in Minority/Women-Owned Business Enterprises. Stringer’s annual reports have indicated what he has called less than satisfactory contracting by the city with MWBEs. “We are really overlooked by the city,” said Elinor Tatum, publisher and editor-in-chief of New York Amsterdam News, the city’s oldest and largest black newspaper. “Ethnic media plays a huge role in New York. We’ve got people who speak directly to these communities and the mainstream press is not able to do that.” She said the city should increase its advertising with ethnic media, pointing out that many city initiatives are specifically geared towards immigrant communities and communities of color. “It’s a business decision and it’s a good decision, if they’re trying to reach ethnic communities, to use ethnic media,” she said. A 2013 report by the Center for Community and Ethnic Media at CUNY J-School found that the city spent nearly $18 million in fiscal year 2012 on public messaging and that 82 percent of the city’s advertising budget went to mainstream publications through two contracted advertising agencies. This was before Mayor Bill de Blasio’s tenure, of course, and under the new administration, outreach for large city initiatives has been geared for multiple languages and platforms. 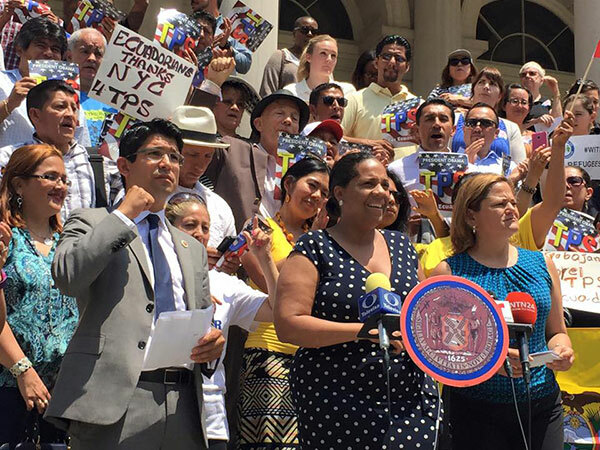 The City Council, under the leadership of its first Latino Speaker, Melissa Mark-Viverito, has also pushed for increased reliance on ethnic media. 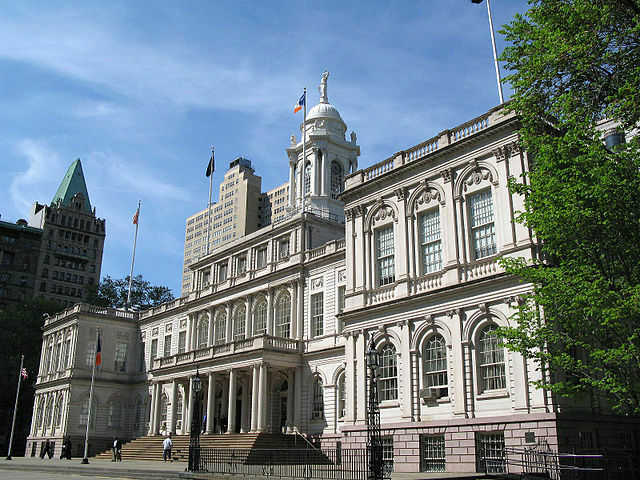 The campaigns for several city initiatives, including the new municipal identification card program (IDNYC), paid sick leave, and universal pre-K, “made significant and deliberate investments in community and ethnic media, and in multilingual outreach, to ensure that immigrant New Yorkers can connect to crucial city programs,” the official added. Seemingly in line with the city’s commitment, Department of Education Chancellor Carmen Fariña is hosting a roundtable on Tuesday morning specifically with members of ethnic and community media. Allimadi, of Black Star News, recommends the city establish a "Deputy Mayor of Diversity," whom he said should oversee city spending with ethnic media, among other responsibilities.